Ian Matthews was a former member of Fairport Convention. Ken Howard and Alan Blaikley were prolific writers of hits for British groups of the sixties and seventies. 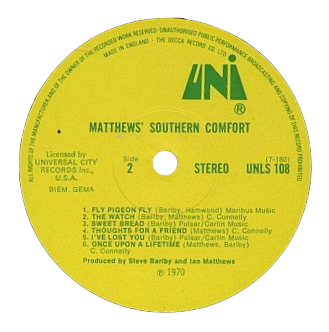 Matthews' Southern Comfort are probably best remembered for their number "Woodstock."